By Conor McNally | October 28, 2015. Another World Cup, another set of ‘what if?’ questions to add to the collection for Ireland. Instead of obsessing over last Sunday’s game, it’s important to remember the World Cup contains 19 teams other than Ireland. The dominant narrative of this World Cup has to be England’s crushing failure. The majority of British pundits appeared to be riding a wave of pre-tournament patriotism and most picked England to reach “semi-finals, minimum”. To not even reach the knockout rounds must be classed as a disaster for English rugby. Following their loss to Australia, some chicken little-esque pundits predicted the tournament was doomed without the host nation’s participation and that games would be played in front of crowds made up of largely indifferent Englishmen. How wrong they were. The World Cup has proven itself to be bigger than one nation, which seems like something that didn’t need to be proven in the first place. Look at how Japan electrified the tournament by beating South Africa and went on to win three of their four pool matches. The Japanese team were cheered lustily on by English fans in Brighton where there cherry and white colours matched the colours of local team Gloucestershire. Labelling England the host nation, it turns out, is true only in name only. 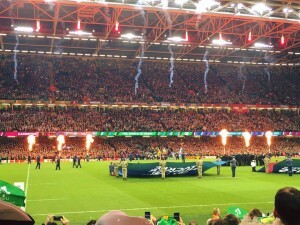 Ireland played France in the Millennium Stadium but if you judged only from the renditions of ‘The Fields of Athenry’ the match could as easily been played in Lansdowne Road. 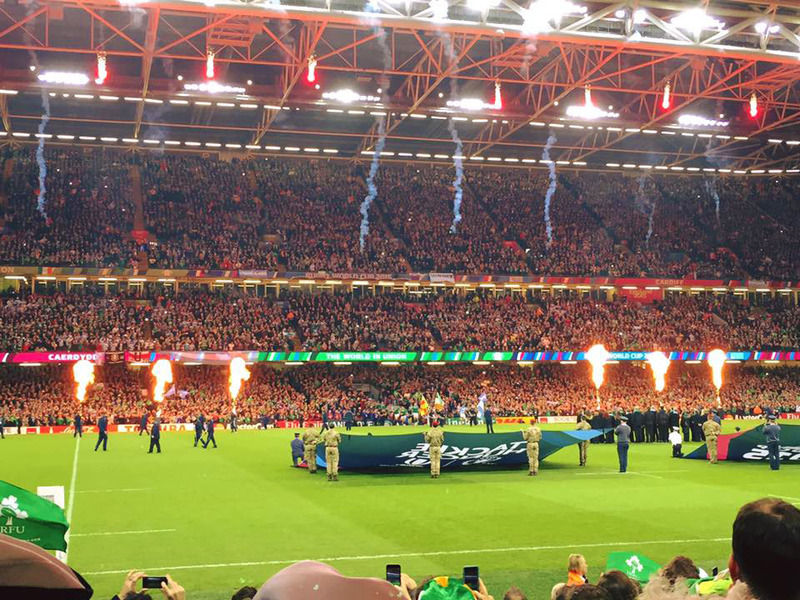 Even more amazing was the huge (and loud) number of Irish fans at the France – New Zealand quarter final. When Argentina nearly beat New Zealand they were supported by a sea of Argentinian fans that came out of the woodwork to support the pumas. We Irish may still be licking our wounds but it’s hard not to marvel at the leaps and bounds Argentinian rugby has taken over the last few years. Success stories like Argentina and Japan are what make tournaments like this special. It may seem contrary to being an Ireland fan but we should try and enjoy their success. We know better than most what it’s like to be the underdog. A world cup is ostensibly about crowning the best team. However, only a handful of teams can realistically win the cup. For the other teams and their fans it’s about enjoying the experience as much as possible. It only happens every four years.